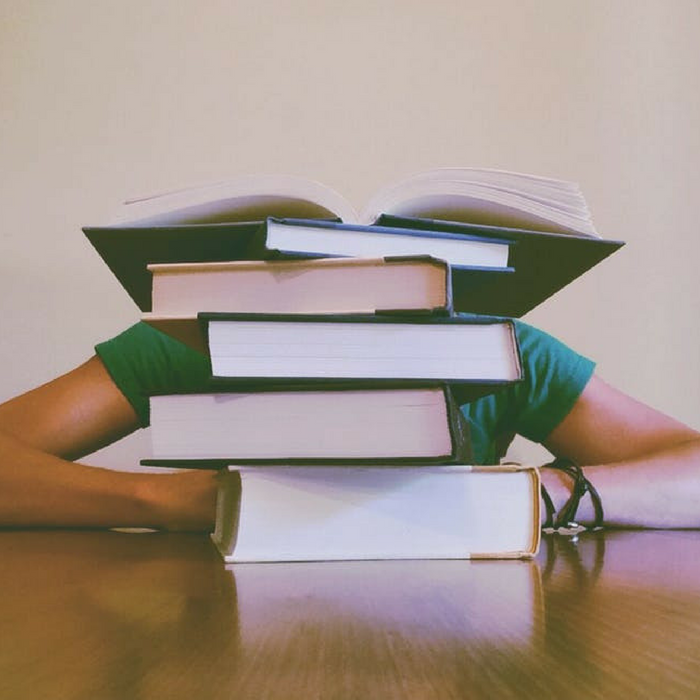 You might not be thinking of college when your newborn arrives, however, the sooner the better when it comes to being prepared and Saving For College Tuition you’ll need for their education. Whether your child is planning to go to a state university, a community college, or an Ivy League School, college prices are rising and will probably continue to rise until your child(ren) head off to school. If this is you, and you’re thinking of the costs and how much you’ll need to pay for college, you should start saving now. Easier said than done, huh? 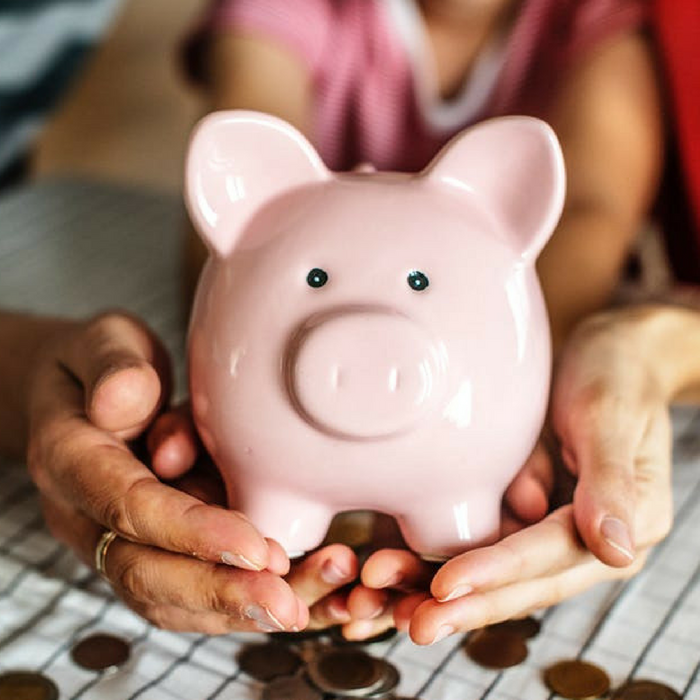 Using the strategies below will help you feel more secure about your child’s future and that you’ve been Saving For College Tuition and are set by the time they need it. Start early talking about college with your child(ren), let them know that you are planning their college education. Raise them up knowing that college IS in their future, you want them to know from a young age that school doesn’t end when they graduate high school. As they enter high school and even before discuss their dreams, goals, and ideas about their future. Be honest about your financial situation. Let your child be aware of how much college may cost and how much the family can afford to contribute. Discuss Saving For College Tuition,scholarships, and student loans, if necessary. Help them be prepared for what lies ahead. 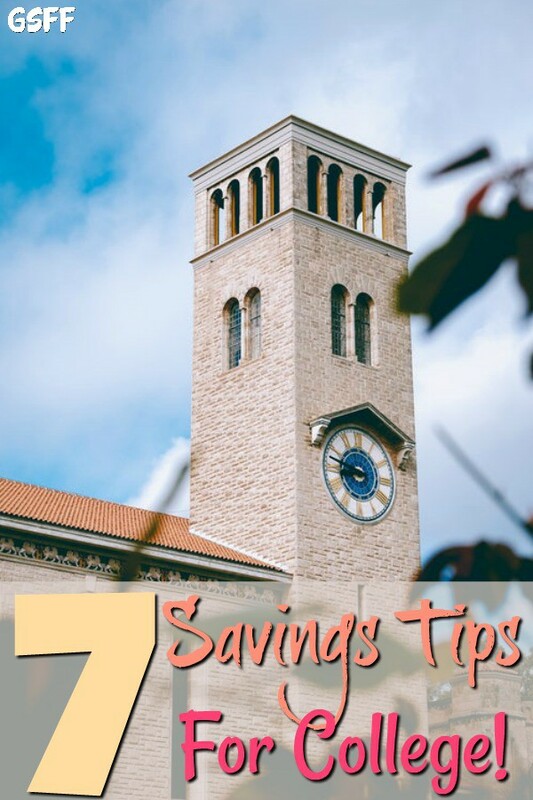 Instead of taking out a huge chunk of your savings to send your child to college, plan ahead and include college savings in your budget and financial goals. 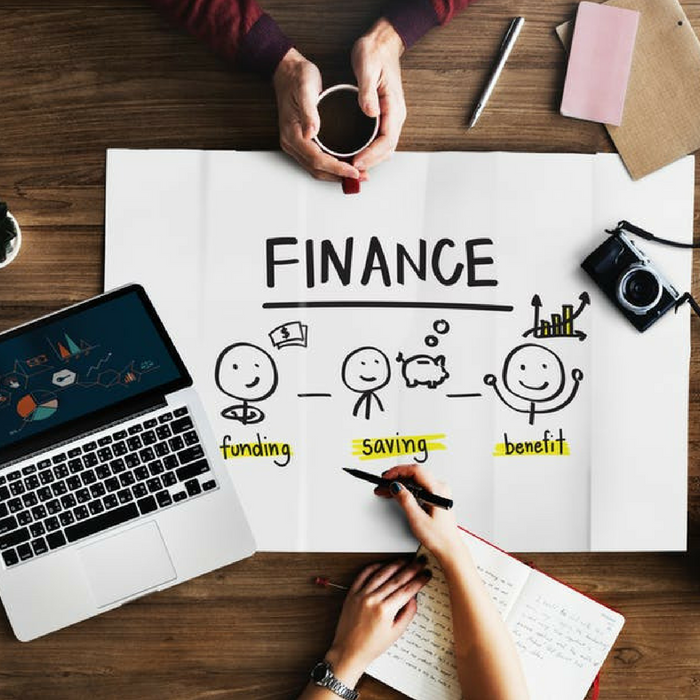 To learn what is reasonable to save for your family, you can use this free College Savings Calculator and work with the best college savings plans to get your fund going. It’s never too late to get started. If you start putting away $50 a month when your child is 10 years old, you can save up to $6,400 by the time your child heads off to college. Opening a savings account with a 529 Savings Plan can help you in your Saving For College Tuition for your child’s education. It’s available in all states and for anyone to set them on their path to college. The 529 Savings Plan is federal income tax exempted, as long as you use it to pay for tuition or housing. Like a 529 Savings Plan, a Roth IRA is a tax-advantaged retirement savings account that you can use as college savings. If it so happens that your child does not go to college, you can use the funds for your retirement. Be sure to discuss with your child what their part in saving for college will look like. You can work together to come up with different ways to help save. Your student can apply for scholarships or save part of their earnings from a summer or after-school job. 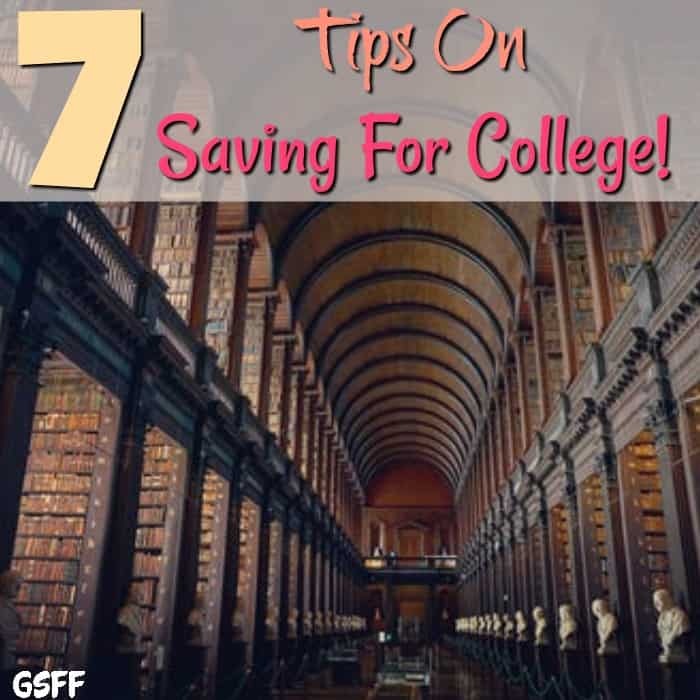 It is important to teach your child the importance of saving money and what their responsibilities are before and after going to college. One of the easiest ways to save money for your child’s school expenses is to ask your family and friends to contribute. Many close friends and family members would love to know they are contributing to your student’s education, don’t leave them out! Instead of asking for birthday or holiday gifts, you can ask them to contribute to the 529 savings plan instead. You can also request gift cards from Leaf. These gift cards can be redeemed directly towards your 529 savings plan. LEAF education gift cards are the thoughtful way to save for college that really matters. Your gift flows directly into a child’s 529 college savings plan – and LEAF supports all plans! LEAF gift cards can be purchased and redeemed within minutes through our website. Our gift cards are perfect for baby showers, children’s birthdays, toddlers, teenagers, and last but not least, their parents. As your child fills out his or her college applications during high school, encourage him or her to apply for scholarships, too. Your child does not need to be a straight-A student or eligible for awards as there are different scholarships available. You can also look into different financial aid options. Your child can fill out the free Application for Federal Students Aid or FAFSA. It’s a gateway for grants, loans, scholarships, and work and study jobs. 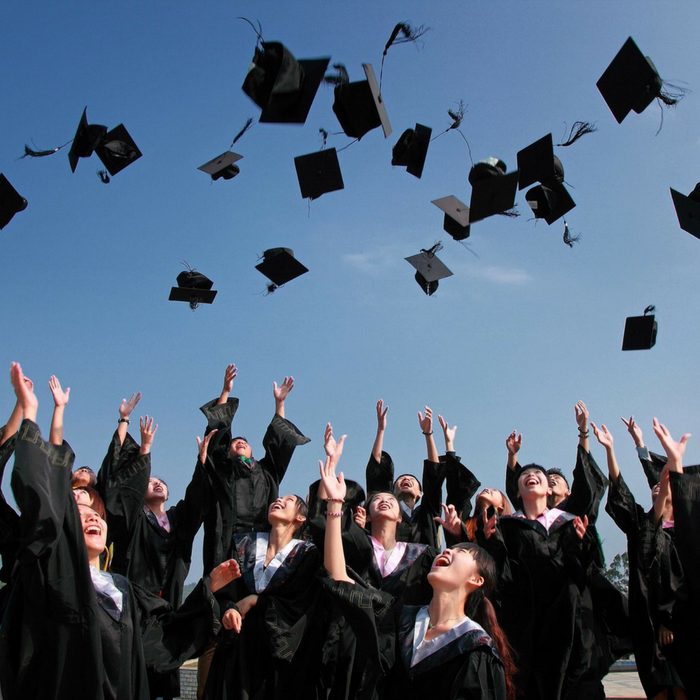 Financing your child’s college education may be a tough call for your family’s finances, but, the earlier you begin saving, the less money you’ll need once your child starts his or her journey into higher education. Know what your priorities are and come up with a sound plan, sooner rather than later. Do you have advice for helping save or fund a college education? Please leave your comments below. Halloween is fast approaching and I wanted to share the 10 Halloween Safety Tips that our local Arlington, Texas police department put together. We want to have a great time and make great memories with our kids, but, we always want to be sure to keep everyone safe along the way, too! These tips will help you and your kids be prepared! Be sure to check out 21 Halloween Costume And Decorations and 20 Spooktacular Halloween Treats, too! 1. When choosing a costume, stay away from billowing or long trailing fabric. 2. If your child is wearing a mask, make sure the eye holes are large enough so they can see out. 3. Provide children with flashlights to carry for lighting or glow sticks as part of their costume. 4. Dried flowers, cornstalks and crepe paper are highly flammable. Keep these and other decorations well away from all open flames and heat sources, including light bulbs, and heaters. 5. 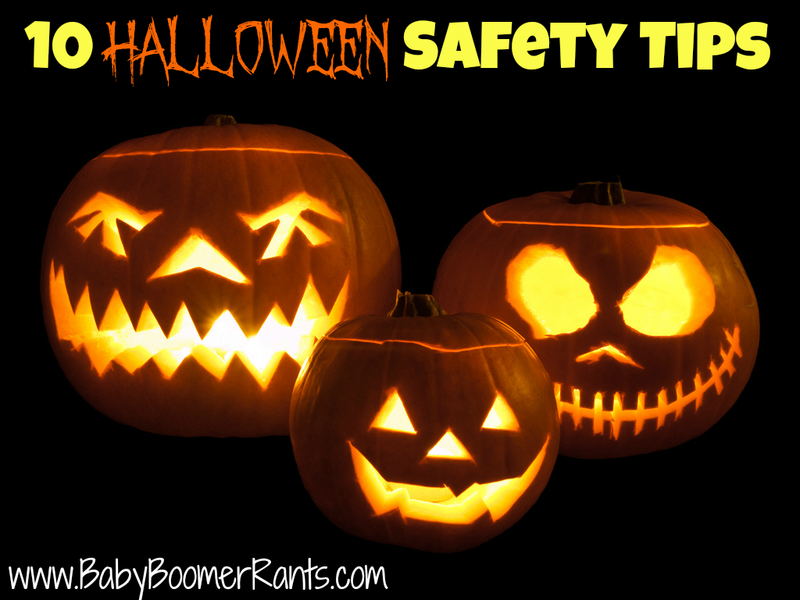 It is safest to use a flashlight or battery-operated candle in a jack-o-lantern. If you use a real candle, use extreme caution. Make sure children are watched at all times when candles are lit. When lighting candles inside jack-o-lanterns, use long, fireplace-style matches or a utility lighter. 6. Be sure to place lit pumpkins well away from anything that can burn and far enough out of way of trick-or-treaters, doorsteps, walkways and yards. 7. Remember to keep exits clear of decorations, so nothing blocks escape routes. 9. Use flashlights as alternatives to candles or torch lights when decorating walkways and yards. They are much safer for trick-or-treaters, whose costumes may brush against the lighting. 10. If your children are going to Halloween parties at others’ homes, have them look for ways out of the home and plan how they would get out in an emergency. 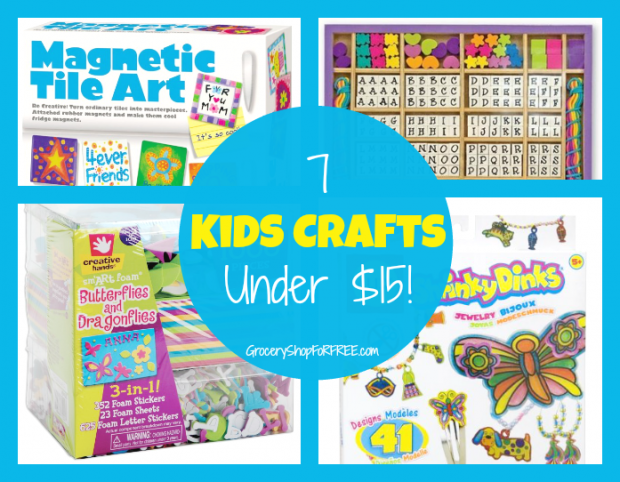 7 Kids Crafts Under $15! 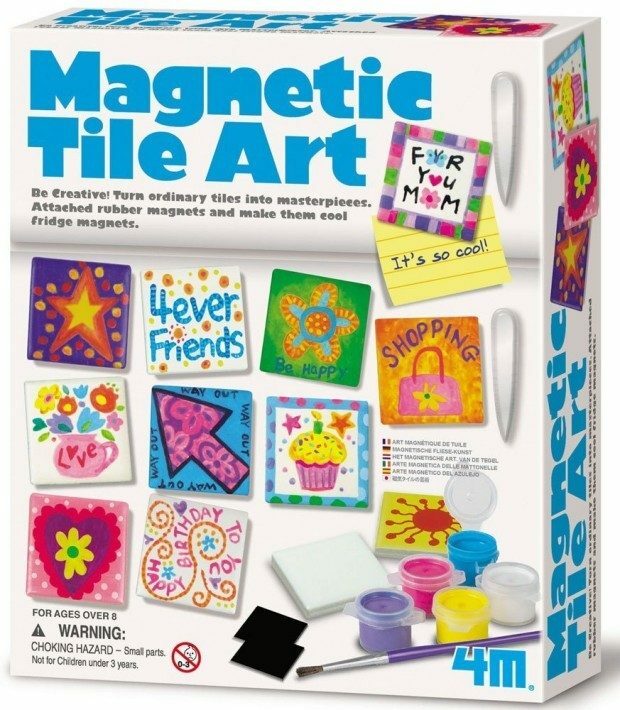 This 4M Magnetic Tile Art kit lets the kids turn tiles into cool fridge art magnets! This would require some supervision, but it would be great fun! Here’s a classic! 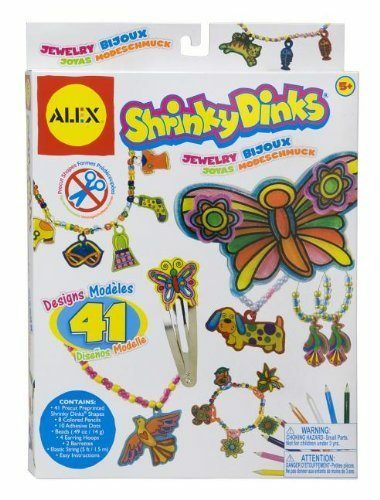 Get the 68 Piece Shrinky Dinks Jewelry kit and the kids will be able to make charms, bracelets, hair clips and more! 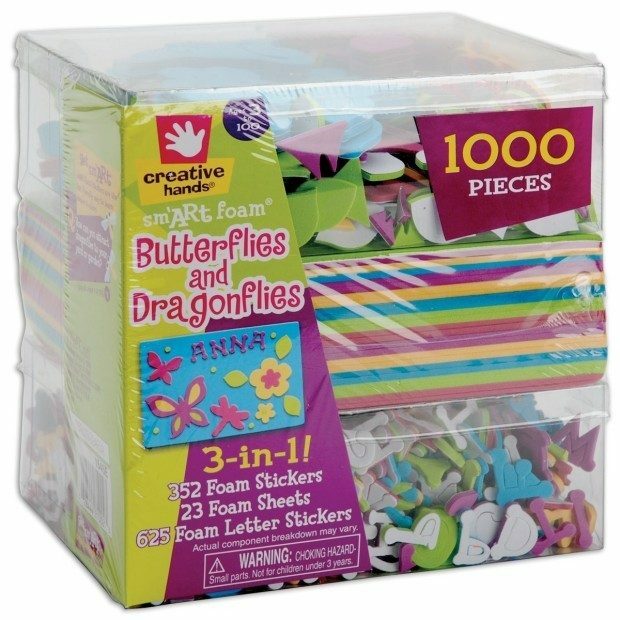 This Fibre Craft 3-in-1 Foam Kit give the kids the tools to make butterflies and dragons. And with butterflies and dragons, they can pretend play for hours! 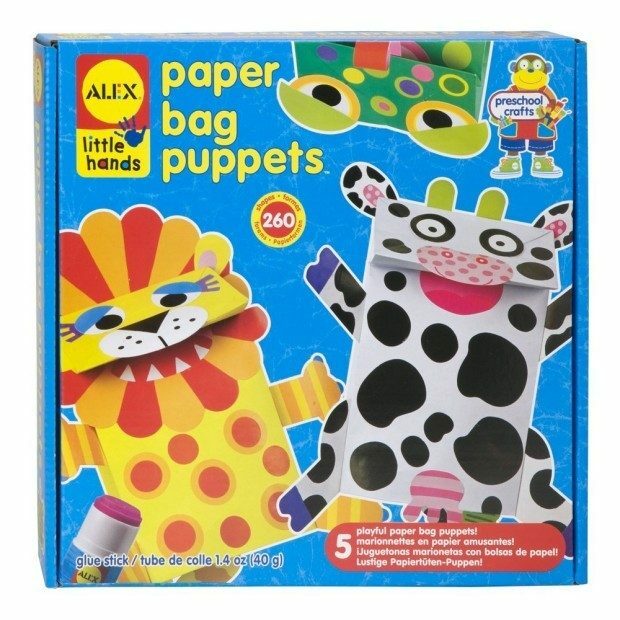 Even the little kids can get involved with the Alex toys Little Hands Paper Bag Puppets! One of Parents’ Magazine’s Best Toes of the Year, you’ll be super happy with this craft kit! 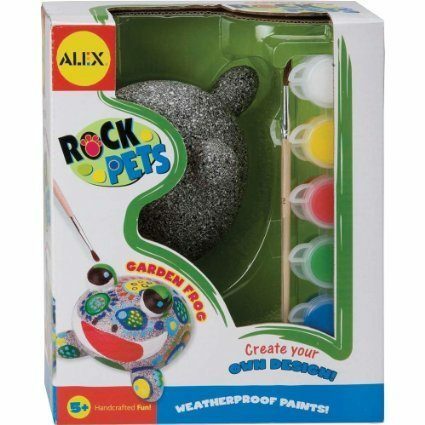 Your outdoor loving kids will love this ALEX Toys Crafts Rock Pets Garden Frog! You get a Frog shaped rock that they can paint and then put in the yard to play with! How fun! Kids love things with their names on it! 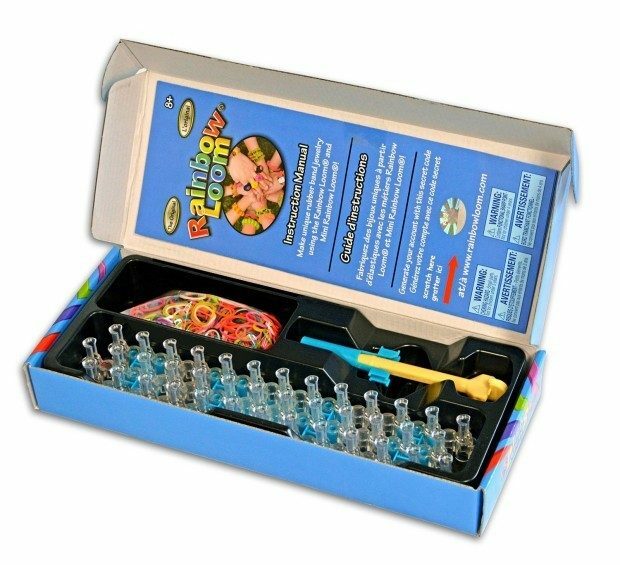 Let them make some name necklaces or bracelets with the Melissa & Doug Deluxe Wooden Stringing Beads Kit! 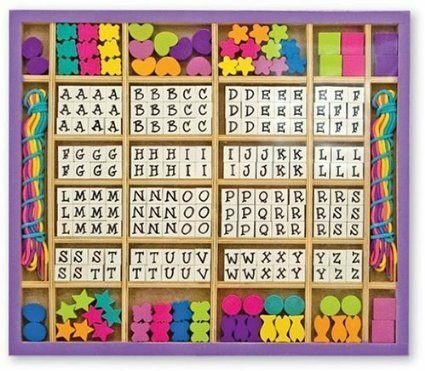 Lots of wooden letter beads, gorgeous shapes and brightly colored laces are packed in a handy wooden tray to create fabulous bracelets and necklaces. Of course no crafts collection would be complete without a Rainbow Loom! This loom comes with over 500 assorted bands to make all sort of crazy loom designs! Any of these would have helped me out this weekend. But I’m pretty sure I’m going to order them all!